I had been planning on making something pumpkin related for a while but I was having trouble choosing what to make. Then one day while watching the food network (of course) I witnessed Anna Olson making pumpkin carrot cupcakes! Of course! 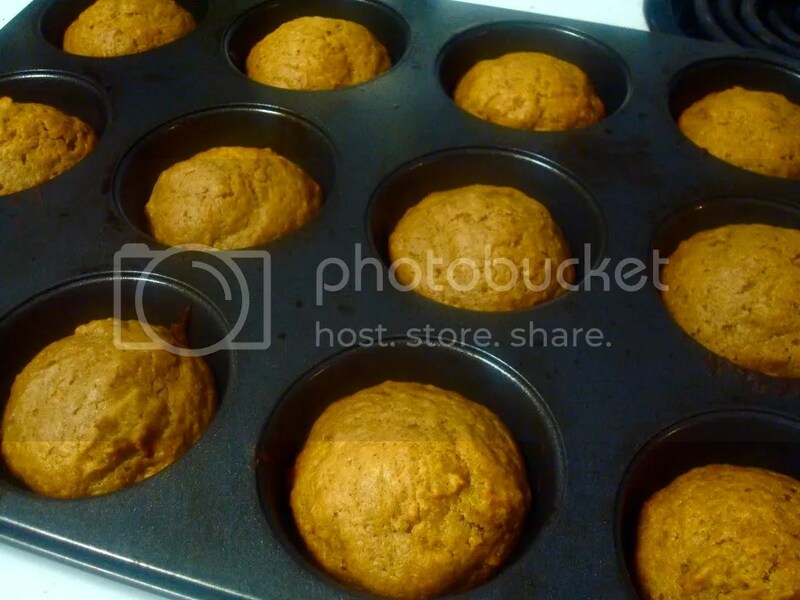 I love pumpkins, I love carrots, and I’m not a huge fan of cupcakes but I figured I could just leave off the frosting and thus have some lovely muffins! Pumpkin puree is super cheap plus I had plenty of carrots and all the necessary spices so it seemed like fate. It was a super easy recipe that took very little time so I highly recommend you all try it out! It was especially fun to make since the dough was so bright and festive! You mix the flower, spices, baking powder, etc. together then add the pumpkin puree and it turns the most delightful orange! 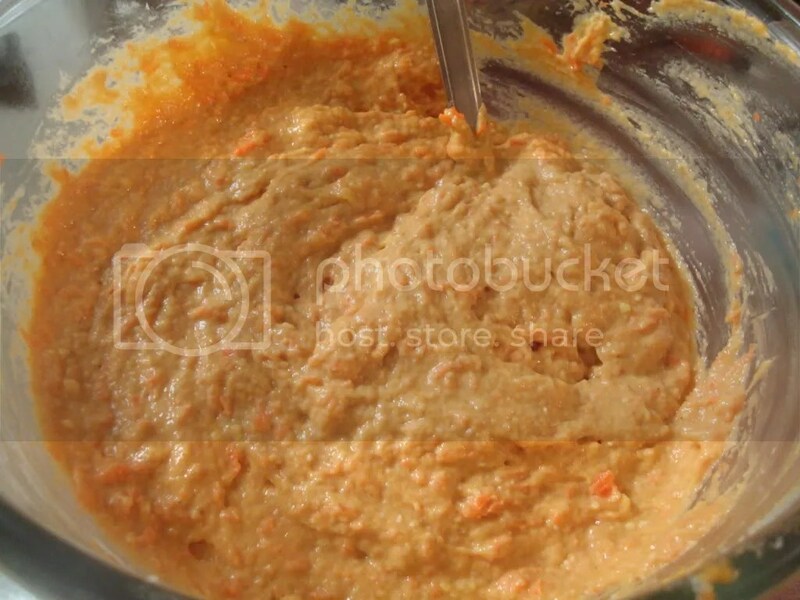 Grate up some carrots, throw them in, then mix it up and boom you’re batter is ready! Yeah yeah yeah!!! Almost ready for eating! I think my favorite thing about muffins is how easy they are to make! You legit just mix some taste ingredients together, scoop them out and throw them in the oven. Loooooooooove it. 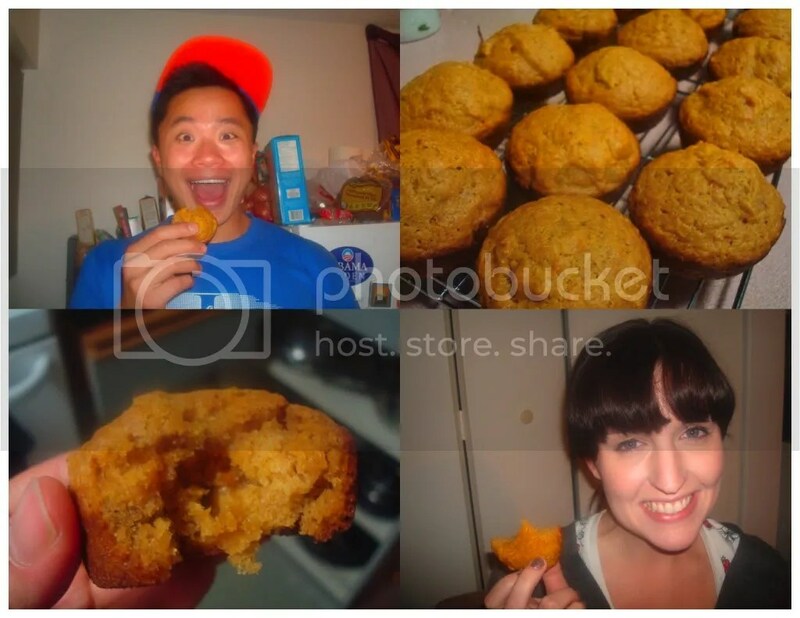 These muffins were legit. I adjusted the recipe a bit for the second batch by adding more sugar, cinnamon, and ginger. Before I found them a little bland but I suppose Anna was expecting the extra sweetness of the icing to add to their flavor. Either way, they’re awesome warmed up with some butter or enjoyed with roomies! Make them! Eat them! Love them!! 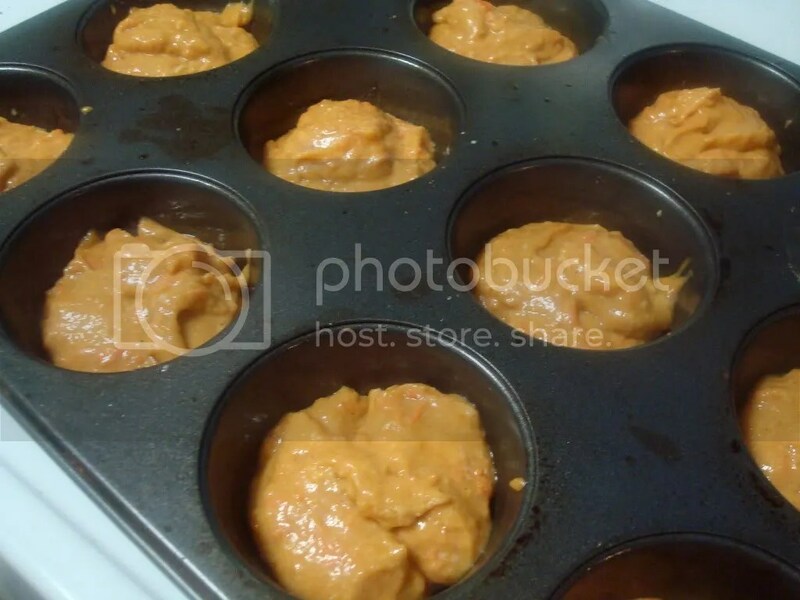 Preheat the over to 350ºF and grease muffin tins. Cream the butter and sugar until combined then add eggs one at a time mixing well after each addition. Stir in the pumpking, sour cream, and vanilla. 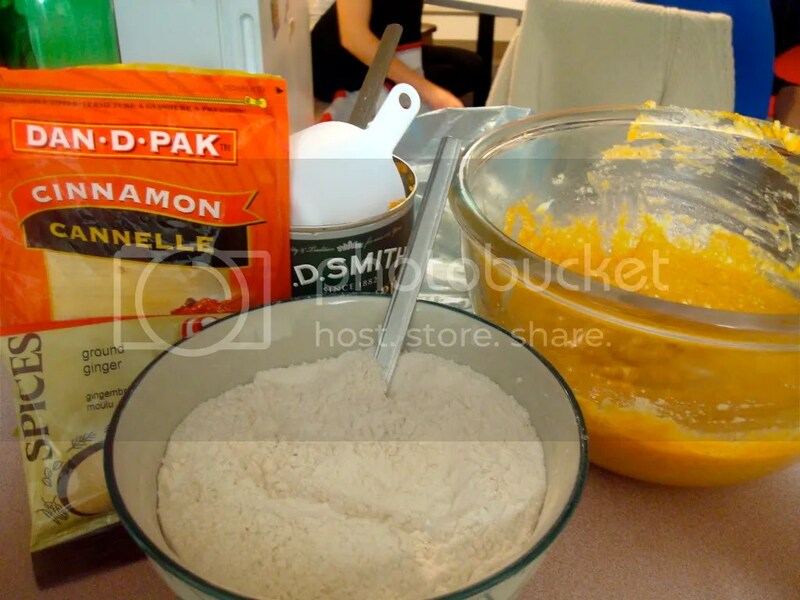 In a separate bowl mix flour, baking powder, baking soda, salt, and spices. 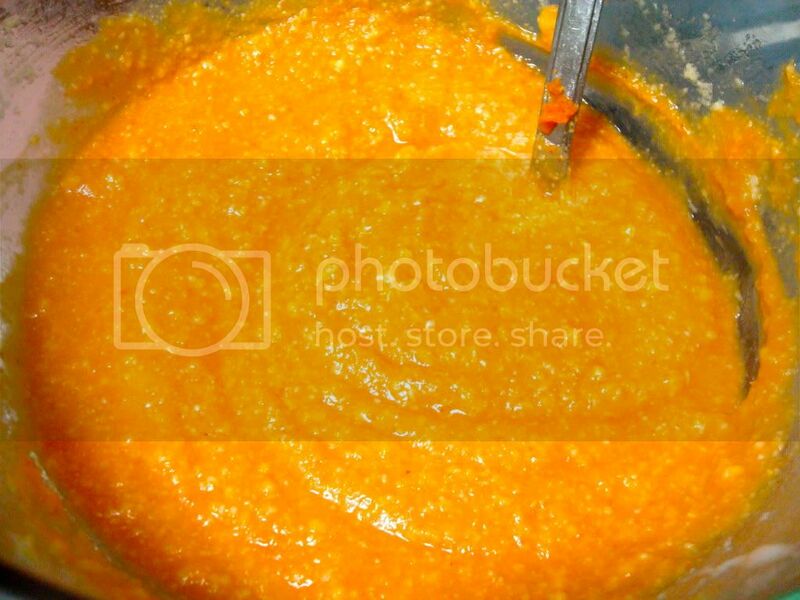 Stir it slowly into pumpkin mixture then add in grated carrots. Spoon batter into the prepared tins and bake for about 25 minutes until a toothpick or tester comes out clean. Cool them for approximately 10-15 minutes in the tin before removing them to cool completely.